The SQL VBA builder lets you convert an SQL statement in a string you can use in VBA. Using the strSQL variable assembled in parts makes the code easier to read when it concerns multiple lines and helps you solve conflicts between any double quotes in your SQL and the qoutes surrounding the string. 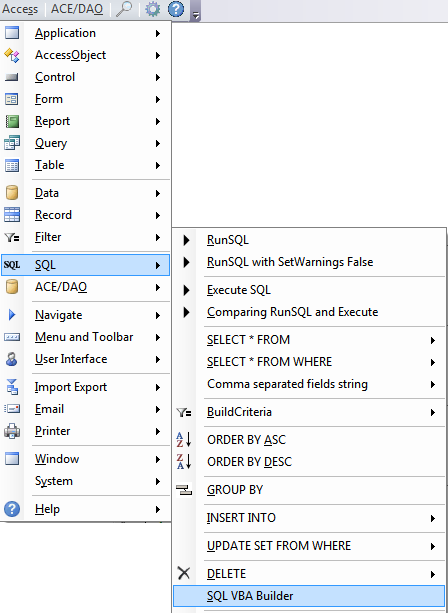 You can access the builder from the SQL submenu, see image below.